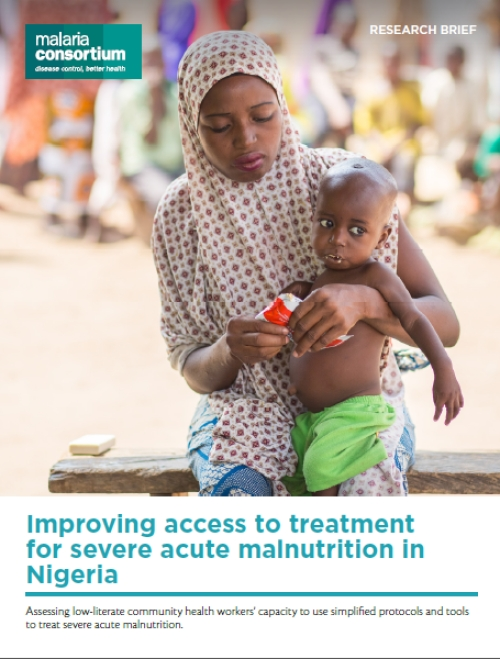 This research brief summarises the findings of a pilot study – conducted as part of the RISE for Nutrition project – that sought to determine whether it was feasible and acceptable for low-literate community health workers (CORPs) to treat uncomplicated severe acute malnutrition using a simplified protocol and adapted job aids. Broadly, we found that it was. With training and supportive supervision, CORPs in Nigeria were able to acquire the knowledge and skills required to assess, identify, treat and refer severe acute malnutrition among under-fives using these simplified tools as part of an integrated community case management programme. Both CORPs and community members reported being largely positive about CORPS’ new responsibilities.